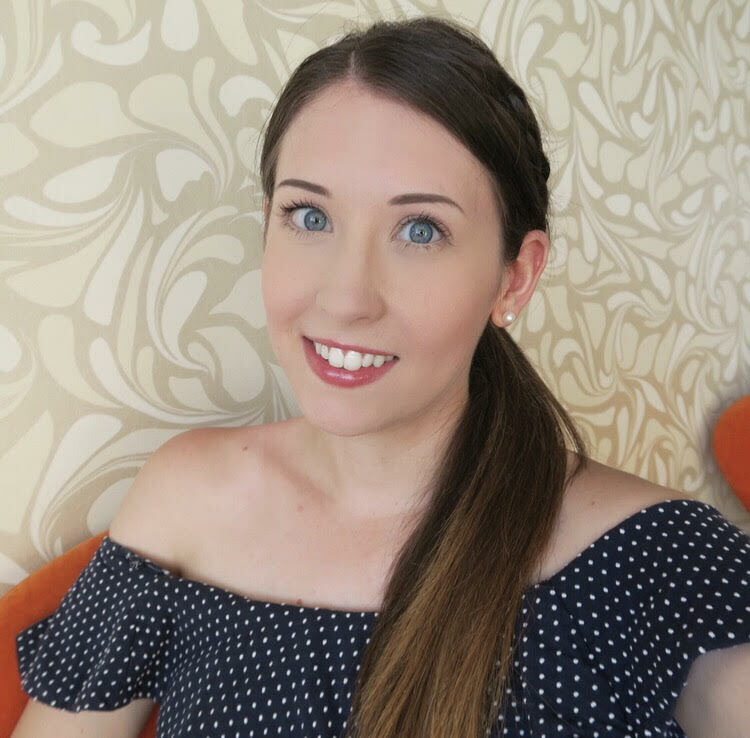 Last August I started working for Fashion e-commerce company Farfetch.com. Since then my day to day is spent ogling lots of lovely designer clothes and discovering new lines. I realised that before I started my knowledge of designer names was actually quite limited and I’ve really enjoyed discovering lots of new fashion collections, with Markus Lupfer being one of them. His collections are hugely wearable and incorporate loads of fun designs including graphics, embellishments and sequins. When I passed my probation at Farfetch I was kindly gifted some money to spend on the site. 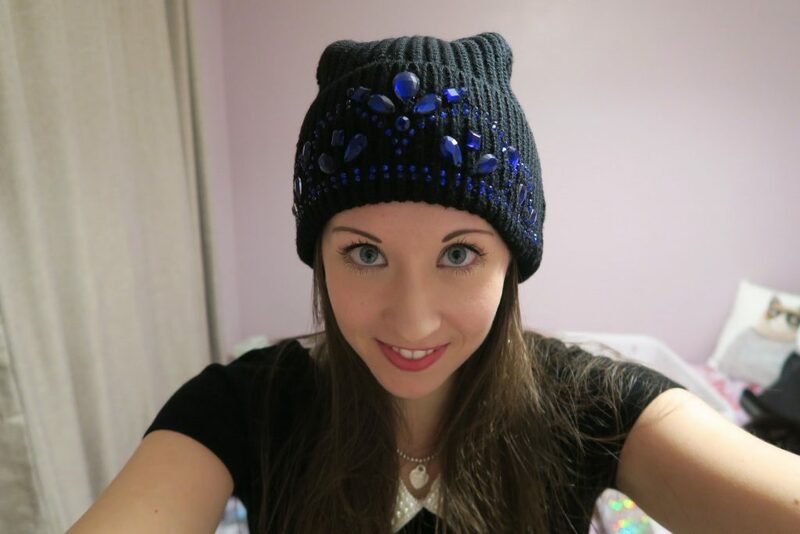 So when I saw this beanie hat It was pretty much love at first sight. 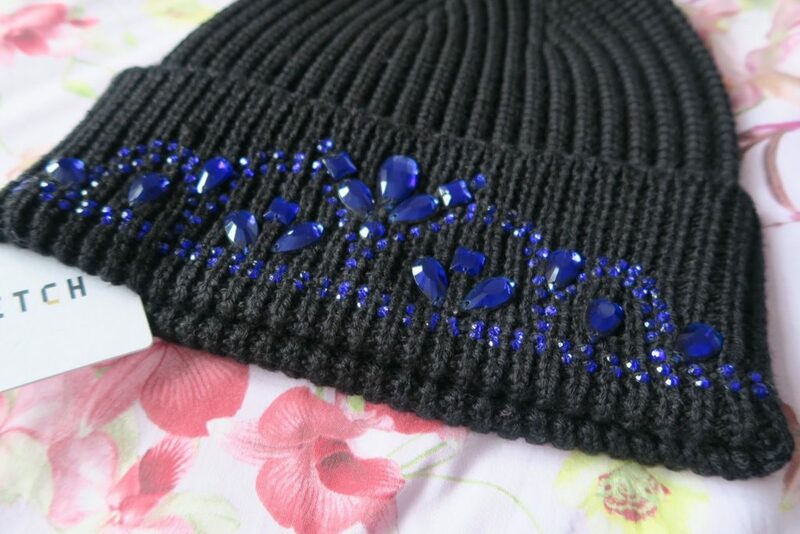 I love a wooly hat, and the tiara embellishment and blue toned jewels made this an instant winner. 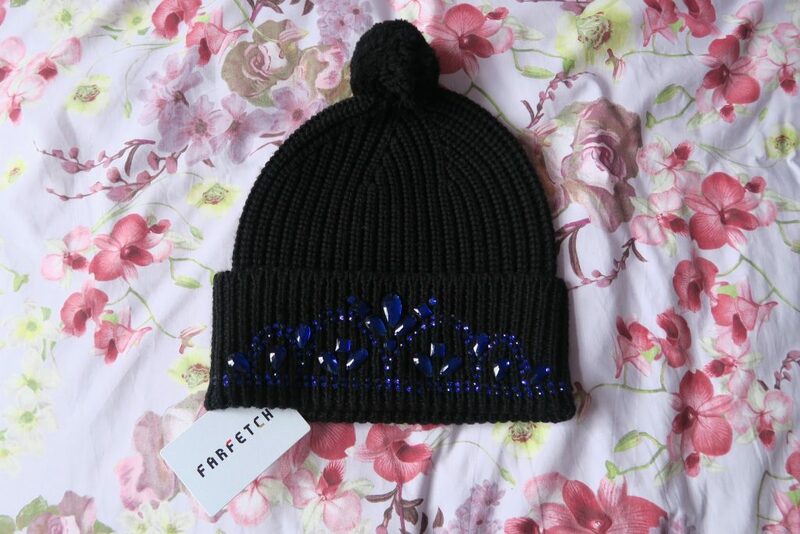 The hat is so lovely and warm and you can definitely feel it’s great quality. Although it’s way more money than I would ever spend on a hat in normal circumstances sometimes it’s nice to have something a bit more quality in your accessories arsenal! 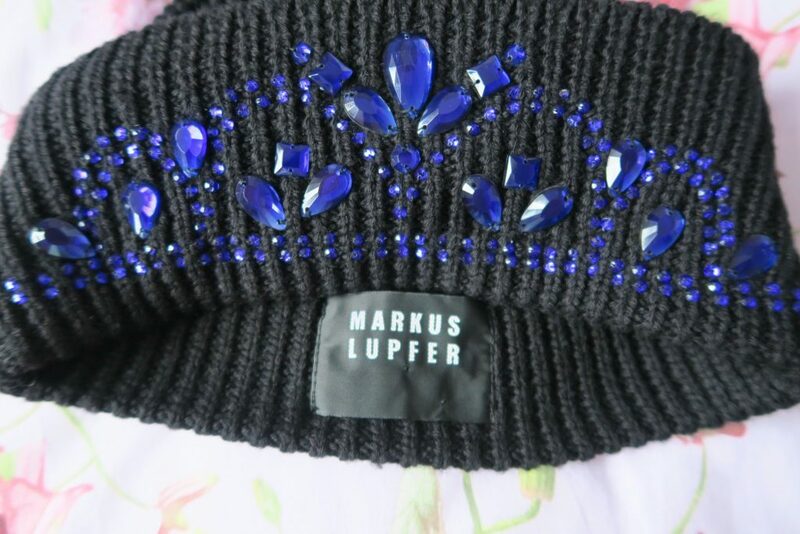 I’ll leave you with a few more of my favourite Markus Lupfer pieces and hopefully you think he’s as awesome as I do!